The Hale Village regeneration project, one of the largest schemes in London, will provide almost 1200 student accommodation rooms, 542 affordable accommodation units, 486 private residential units, a 132 bedroom hotel, the possibility of a school and nearly 50,000sq.ft of commercial space. North Lodge, Hale Village has been built using modular construction techniques linked on-site into shared flats. 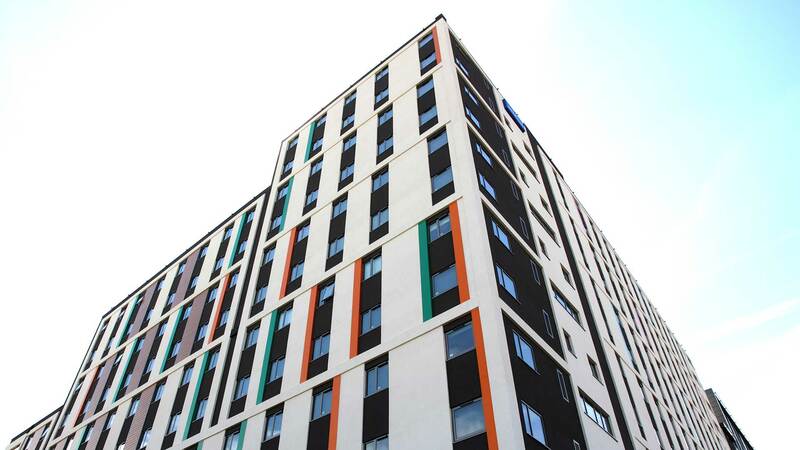 The modules were insulated on-site with application of the innovative, high performance and award-winning webertherm XM External Wall Insulation (EWI) system which was specified along with weberplast TF150, a decorative, protective, low maintenance render finish. 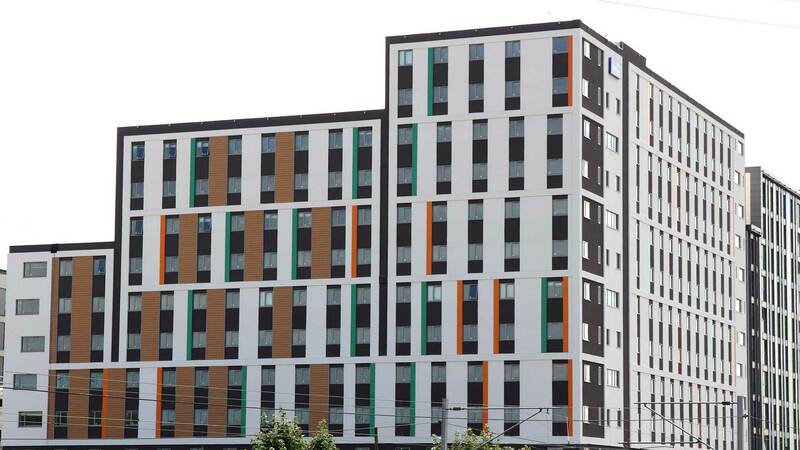 The aesthetics provide the building with a modern, colourful and technically superior finish. At Hale Village the exceptionally low u-values have been achieved with the Energy Saving Trust recommended webertherm XM EWI system which will contribute to reduced energy consumption and CO₂ emissions. 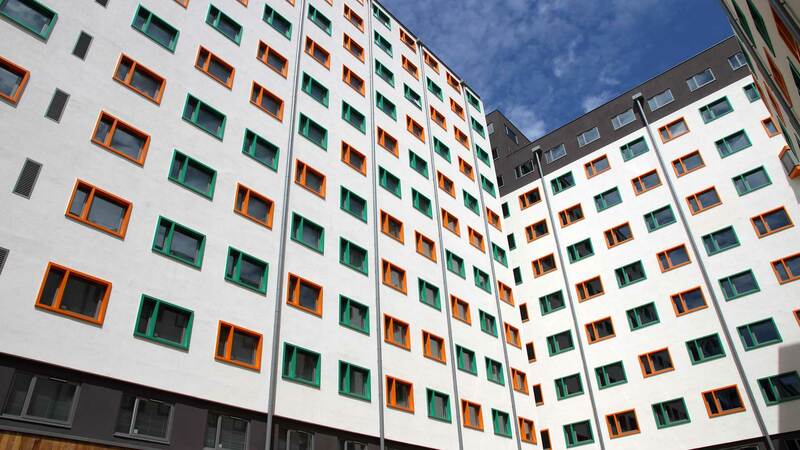 The versatile BBA certificated EWI systems are ideal for use in new build and refurbishment schemes regardless of size, height or exposure which is due to the system's market-leading fire performance, impact resistance and wind-loading capabilities.